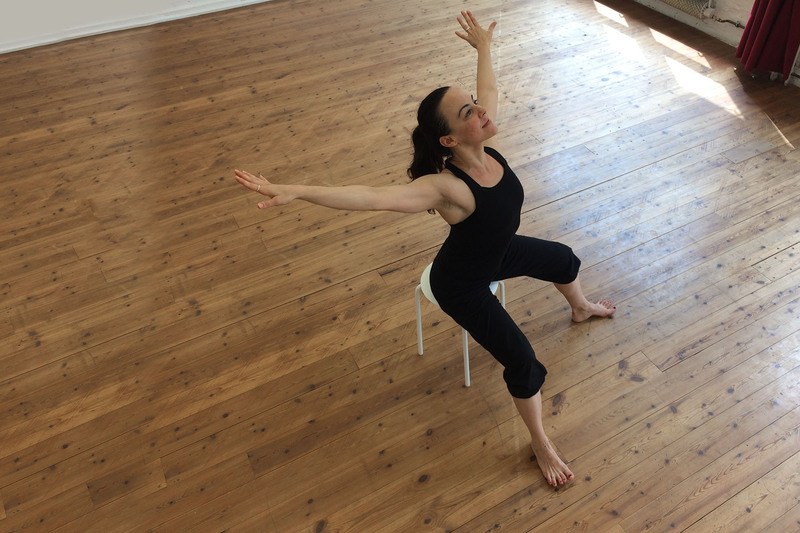 The class is open to everyone who, regardless of age and body type, wants to reconnect him/herself to its own body through excercise practice based on the natural motion of the spine. The constant flow and fluidity of movements coupled with breathing patterns will open up the energy pathways, oxigenate the blood and stimulate the nervous system, it’s a total flowing body work. The first part of the class will take place sitting on a stool. We will help the spine to decompress itself by using the muscles to support the work and give the possibility to the spine to create space between each vertebrae. In this way we will allow the back to be free to move fluently and in constant flow, involving consequently, the limbs. A gentle muscle work will give the possibility to release and open up every single joint in order to expand them in all directions. The second part will take place on the floor on a mat. Keep on working on the same principles increasing the workout, especially, of deeper abdominal and dorsal muscles. The whole body work is supported by several breathing patterns which stimulate and energize the blood circulatory system and nervous system. “Standing, sitting at the computer, and just plain gravity can compress the spine and put strain on the body. Opening up that space through a narrowing of the pelvis and an elongating of the spine helps put things in their proper place,” says Lena Mossman, director of Kohala Spa at the Hilton Waikoloa. At the end of the class your body will thank you!